Welcome to the Swarm Newsletter for March 30th, 2018. The Swarm team has been on the road the past two weeks in an effort to connect with the global blockchain and finance communities to grow our reach and impact. The launch of our global Swarm March Madness 20/20 campaign has been a mad success! Over 10,000 new investors have signed up for Swarm since the campaign began! We hope all of you are enjoying the perks of the 3 Bonus opportunities for signing up, referring friends, and being SWM hodlers! By the way, March Madness runs until the end of APRIL, so there’s still plenty of time to get involved. We worked hard to pull this campaign together while honoring the regulatory environment of the United States, where half of our team is from. Much to the disappointment of US residents, and our team, we were not allowed to include US people in this campaign. We greatly appreciate the patience, understanding and ongoing support that we are receiving from so many on this topic. It really means the world to us. The crypto community presence in San Juan, Puerto Rico has made global headlines recently, with mixed reviews. But nobody can dispute the impact of multiple large blockchain events all coordinating to bring thousands of people to San Juan. Restart Week was an opportunity for the Swarm Leadership team (our CEO, CIO, and COO all attended) to learn first hand — what is this ‘crypto invasion’ all about? Are we helping or hurting? What we found was a large group of people with a desire to have up-leveled conversations and to find ways to have tangible impact. The state of the industry plus the composition of the crowd yielded a tangible difference in conversation. Real product vs. hype. Real teams vs. Ryan Gosling. Real impact vs. Lambos. And collaboration. We met people from several other projects in the security token space, along with influencers who cover the space, and the conversations all led to ‘how can we work together?’ It was frankly heartwarming to meet so many like minded people, and also validating for our team as we have maintained our focus on execution. Look for new partnership announcements in the coming weeks as a result of our San Juan conversations. Specifically in San Juan, there was a consistent message from blockchain leaders like Michael Terpin and Brock Pierce who have made their homes there: “if you really want to help Puerto Rico, find local partners and work with them to have the most impact.” Swarm Fund is doing exactly that, and will announce our first of several Puerto Rico opportunities next week. Swarm is excited to introduce our collaboration with prominent blockchain artist Nanu Berks. Integrating the art world with blockchain is an underdeveloped area of our industry, and we hope that our collaboration with Nanu can pave the way for artists to create right livelihood from their work in this world. Stay tuned for more updates as the conversation unfolds. See our own Vivian Jane Smith interview Nanu at TokenFest SF this past weekend. 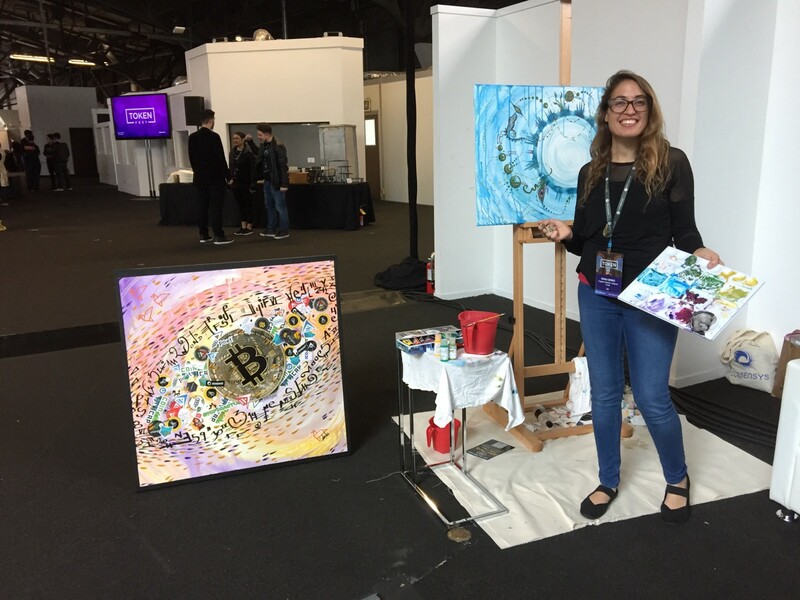 Nanu’s piece on the left was sold at auction for 6 ETH and is on its way to a proud new owner in Paris, France. 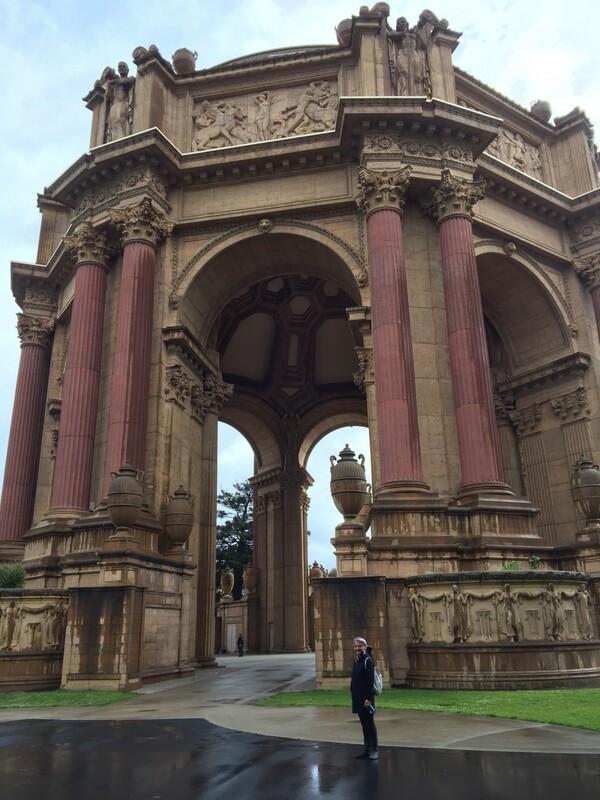 Shout out to TokenFest SF for being a fun, vibrant & well-organized conference. 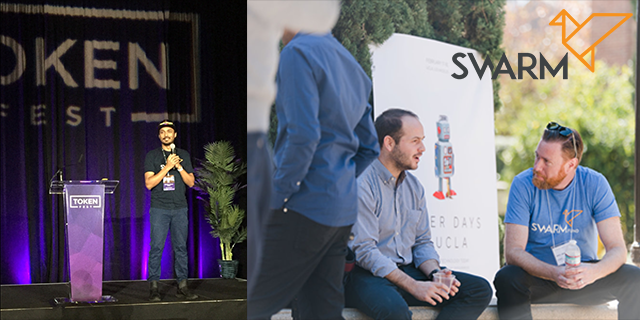 For 2 days attendees had access to a keynote auditorium with fascinating panels, media rooms for interviews, a networking app to schedule brain dates on the fly, a bird’s eye view of the convention center from a 2nd story build-out, and a Technology Stage where our own Head of Product Jazzwall Sharad gave a live product demo of the Swarm Asset Management Network platform. Next week, we’ll release video interviews with Swarm team members from the event. Meet us on the road! A Swarm Team member will be speaking at all events listed above.